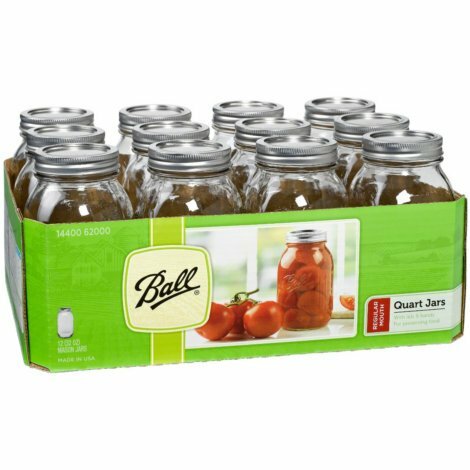 Ideal for fresh preserving whole fruits & vegetables like peaches and green beans Freezer safe (12) 32-oz. glass quart jars with lids & bands, plus step-by-step instructions Weight: Approximately: 11 pounds Shipping Dimensions: Approximately 15.4 x 11.4 x 7 inches. If you have any questions about this product by Ball, contact us by completing and submitting the form below. If you are looking for a specif part number, please include it with your message.